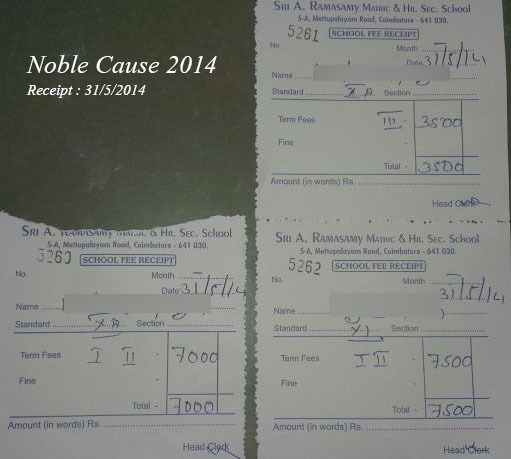 Thanks to Hackerz family & friends for generous contributions towards Noble Cause 2014, we reached (and surpassed) our goal, raising Rs 37500! We feel that, it is very crucial for the students for whom we are sponsoring as they pursuing their 10th & 11th standard. With all of your generous contributions we had helped those two students to pursue their education. On behalf of the HackerZ family we had wished the students “All the best” for their exams. We would like to thank the sponsors for their generous support!